The switchboards have evolved greatly in recent years with the emergence of VoIP telephony and IP PBX PBX solutions based on open source software. Currently there are several types of telephone exchanges, like conventional PBX that connect to the PSTN, IP PBX working through data networks under the IP protocol using VoIP technology and can interact with the PSTN, the hybrid PBX with VoIP support and Centrex PBX. PBX switchboards or have undergone a major transformation in recent years, rising from analog to semi-digital, then to digital and finally to the IP PBX, working internally under the IP protocol, assuming a breakthrough in CTI ( Computer Telephony Integration, Computer Telephony Integration). We can distinguish several types of telephone exchanges. PBX (Private Branch Exchange, a private branch switching) are the conventional PBX phone systems allowing direct access to the public telephone network PSTN (Public Switched Telephone Network), also called PSTN (Public Switched Telephone Network), by lines trunks. Such exchanges independently handles both internal and external calls (incoming and outgoing), and usually usually belongs to the company that has installed and not the telephone operator. IP PBX (also called VoIP PBX, IP PBX or VoIP PBX) telephone switchboards IP PBX switchboards are designed to work with data networks under the IP protocol, using VoIP (Voice over IP, Voice over IP) via Internet. They can interact with conventional telephone network PSTN, both analogue PSTN (Basic Telephone Network) and digital ISDN (Integrated Services Digital Network) and mobile GSM / GPRS / UMTS. Likewise, you can connect standard telephones (analog phones, fax or cordless phones DECT) via a VoIP or ATA (Analog Telephone Adapter) gateway. 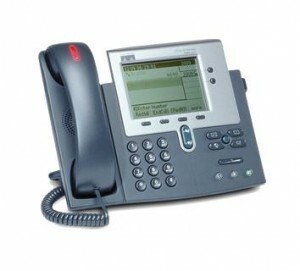 The PBX IP PBX may consist of a team of physical hardware or a software system, called Soft IP PBX. VoIP PBX support (also called hybrid PBX) is to connect a module to a conventional VoIP PBX, thereby allowing the available PBX functionality of an IP PBX and can operate either through the PSTN as by data networks via VoIP. Centrex PBX (also called Virtual PBX or Hosted PBX): Emulation Service Switchboard, called Centrex (Central exchange, CHM) is provided by telephone companies service is that the customer has all functions a PBX phone system through a simulation performed by the central office area, configured such that the lines reach the client appear to function as a PBX phone system. You can virtualize both a conventional PBX and IP PBX, denominating in that case Virtual IP PBX or Hosted IP PBX.